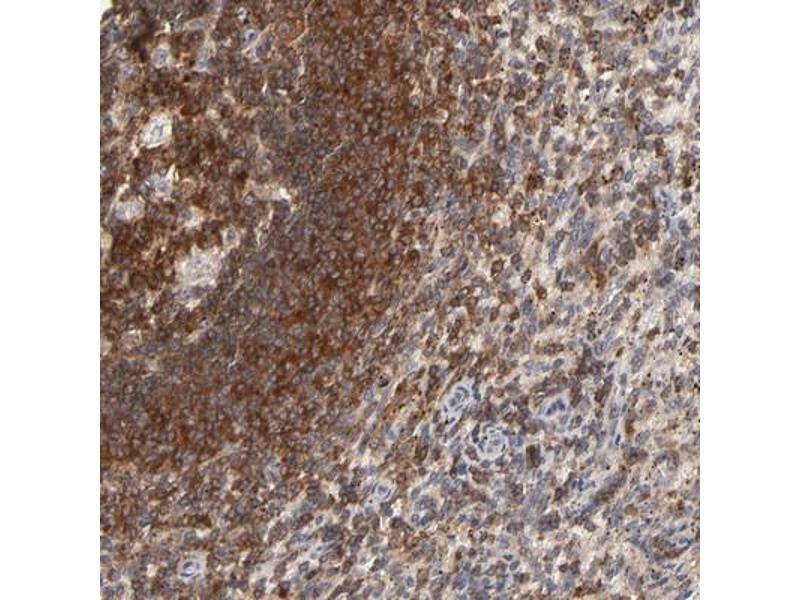 Immunohistochemistry-Paraffin: WIPF1/WIP Antibody - Staining of human spleen shows strong cytoplasmic positivity in cells in red pulp and cells in white pulp. 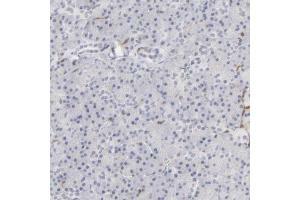 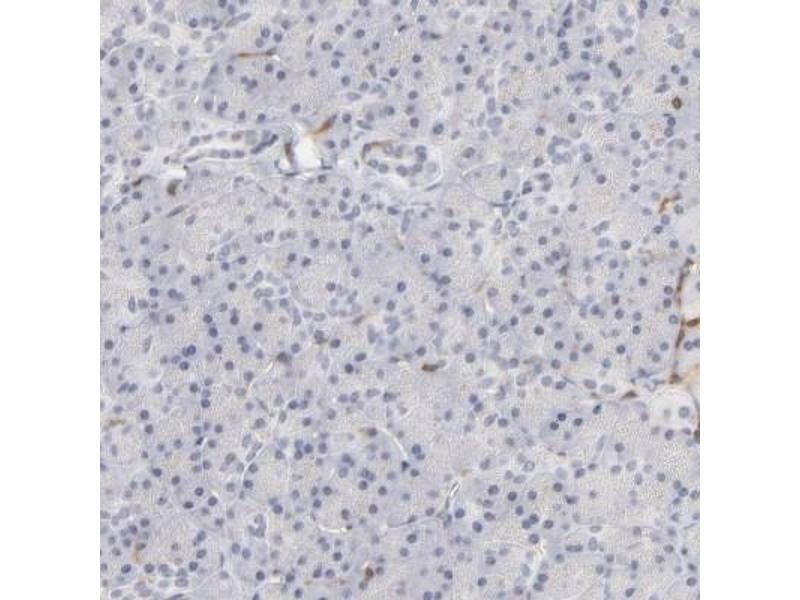 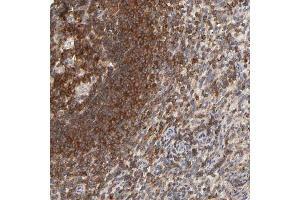 Immunohistochemistry-Paraffin: WIPF1/WIP Antibody - Staining of human pancreas shows low expression as expected. 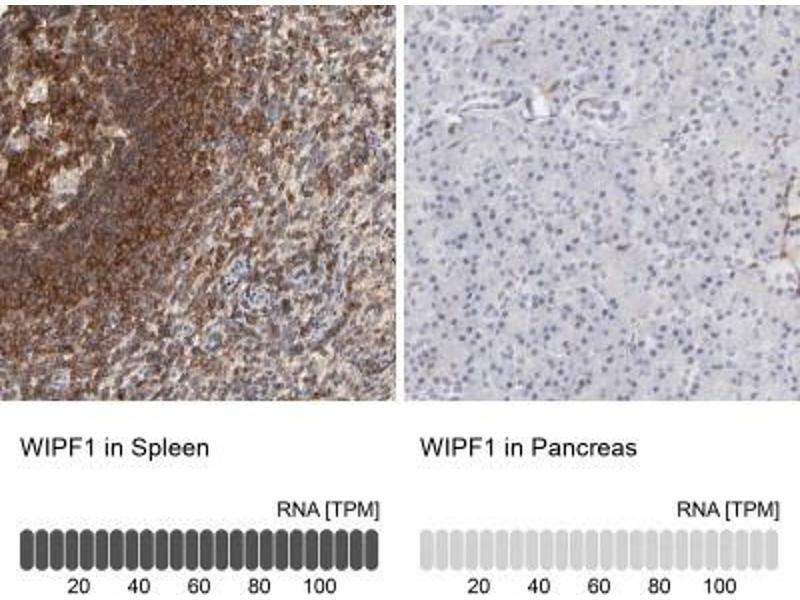 Immunohistochemistry-Paraffin: WIPF1/WIP Antibody - Staining in human spleen and pancreas tissues using anti-WIPF1 antibody. 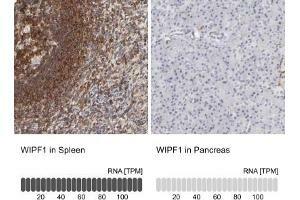 Corresponding WIPF1 RNA-seq data are presented for the same tissues. 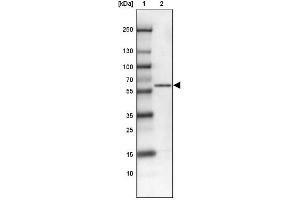 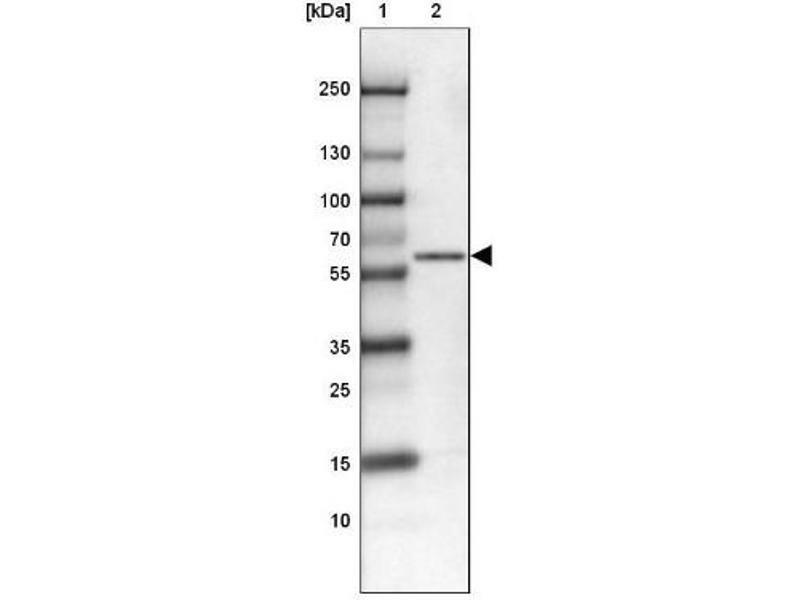 Application Notes Western Blot 1:100 - 1:250, Immunohistochemistry, Immunohistochemistry-Paraffin 1:50 - 1:200For HIER pH 6 retrieval is recommended.